Canadian explorer, Meteoric Resources NL (ASX:MEI) today announced it has staked the Burt Cobalt Project in Ontario, Canada. 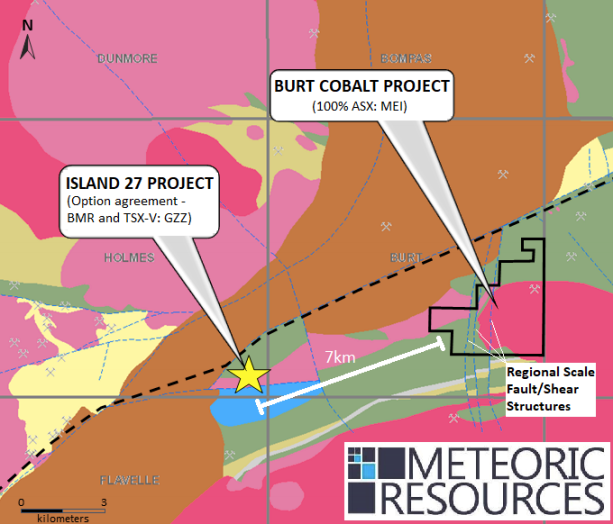 Comprising 9.34 square kilometres of highly prospective primary cobalt ground, the Burt Project is situated seven kilometres directly along strike from Battery Minerals Resources’ and Golden Valley Mines’ (TSX-V:GZZ) ‘Island 27 Project’. The Burt Project hosts three major, north-south trending faults identified as being the key hosts of primary cobalt mineralisation throughout the district. These faults, which cross-cut the same andesite unit hosting the cobalt mineralisation at Island 27, represent over 5.7 kilometres of strike length potential for high-grade primary cobalt mineralisation. These cobalt fertile structures will be the focus for MEI’s exploration program of mapping, geochemistry, geophysics and drilling, which is planned for the second quarter of the year. While things look promising for MEI, it is early stages here and investors should seek professional financial advice if considering this stock for their portfolio. Potential for primary cobalt mineralisation here has been identified by Orix Geoscience’s proprietary asset identification software, and confirmed by a recent review completed by Tony Cormack. The cobalt-silver-nickel-gold anomalies generated at the Island 27 Project were identified through an induced polarisation geophysical survey (IP) and diamond core drilling in 2013, which intercepted high grade cobalt mineralisation in a breccia associated with the regional fault zone. This brecciated fault zone included a sulphide-rich zone returning high-grade cobalt assays in association with strongly elevated silver, nickel and gold. 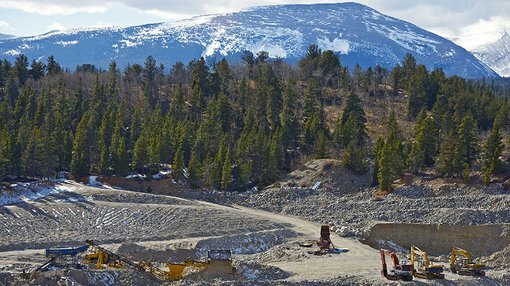 The weighted average of the four-metre downhole intercept is 4.18 per cent cobalt, 12.1 grams per tonne of silver, 0.38 per cent nickel and 0.098 per cent gold. MEI managing director, Andrew Tunks said: “Leveraging off our strong relationship with Orix (a leading Canadian geology consulting group), allowing us access to their proprietary asset identification system, the Meteoric team has moved quickly to stake highly prospective primary cobalt and nickel-copper-platinum ground in Canada. “The Burt Cobalt Project fits our exploration model and adds value to our carefully selected portfolio. Meteoric is actively targeting further copper-cobalt-nickel-platinum opportunities both in Canada and across the globe. “The company is continuing to refine its exploration strategy, with a strong focus towards expenditure in the ground and an active exploration program over the coming months. We now have the right team in place, we are fully funded, and will hit the ground hard, aiming to add significant value to our exciting projects,” he said.